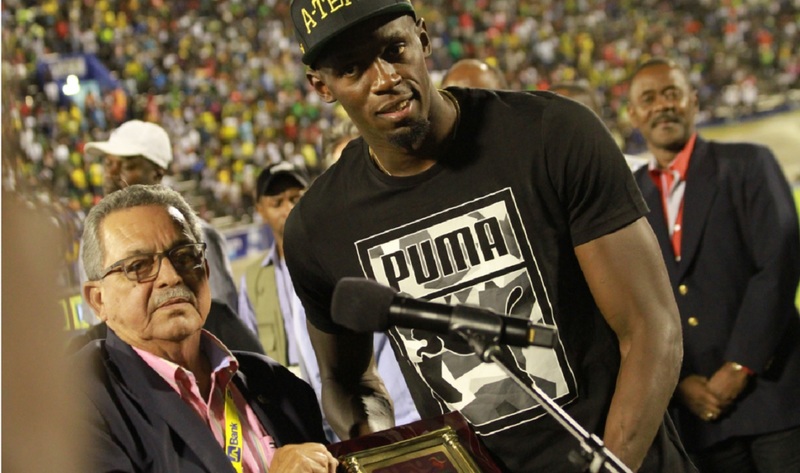 Victor Lopez, president of the North American, Central American and Caribbean Athletic Association (left) makes a presentation to Usain Bolt on the night of his emotional farewell at a sell-out stadium in Jamaica. Usain Bolt is now concentrating on his final three races before bringing down the curtain on his illustrious career, after he was given a grand send off in his final race on home soil on Saturday night at the JN Racers Grand Prix. The meet dubbed ‘Salute to a Legend,’ was used to celebrate the achievements of the world's fastest man, who intends to retire after the London World Championships in August. 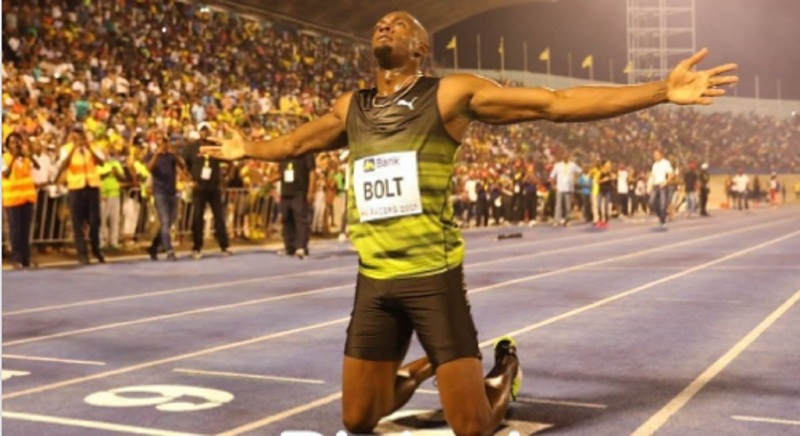 The 30-year-old Bolt has three events left before retirement - Ostrava on June 28, Monaco on July 21 and the August 4-13 World Championships in London, United Kingston. 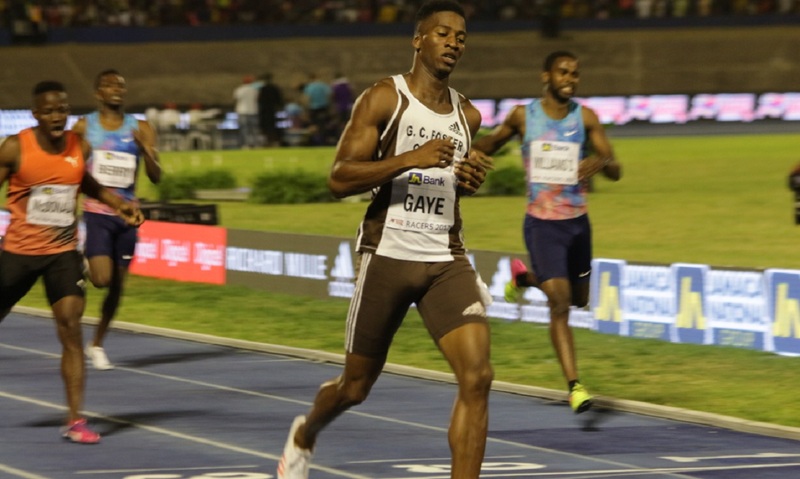 The National Stadium was at its 30,0000 capacity as Jamaicans from the different socio economic background, gathered with international athletes to put on a four-hour long spectacle. Also paying respect, were Prime Minister Andrew Holness and Leader of Opposition Dr. Peter Phillips, as well as track and field officialdom, including president of the International Association of Athletics Federation (IAAF), Lord Sebastian Coe. Two hours into the event, Bolt was driven into the venue in a black range rover, with yellow strips and a tinge of blue at the side. Through the sunroof, Bolt torso protruded as he clapped and show his appreciation for the adoration that he was getting. He exited the vehicle at the McDonald Tunnel and made his way on the red carpet through the Jamaica Defence Force’s Team of Fanfare Trumpeters, unto the field, where a presentation was made to him by his coach Glen Mills. Victor Lopez, president of the North American, Central American and Caribbean Athletic Association (NACAC) also made a tribute to Bolt. Holness, traced Bolt’s record to his 2002 World Junior Championships world record at the National Stadium and expressed gratitude for his contribution to the sport. The Prime Minister said, “we are gathered here to pay respect to a great man, a great athlete and great Jamaican. It started here in 2002 when he gave us the salute when he broke the world record then. “We gather here to pay respect to him, for his work, for his contribution, for being who he is as a person. His story, his success, what he has contributed to the sport and to our country, there is nothing that we can do but to say to this great man, thank you. “We have shared in the agony of his travails and we share in the victory and the thrills of his success. May God bless you in your future endeavor and on behalf of a grateful people, on behalf of a grateful country, on behalf of the world, on behalf of the sport, we say thank you and may God continue to bless you." 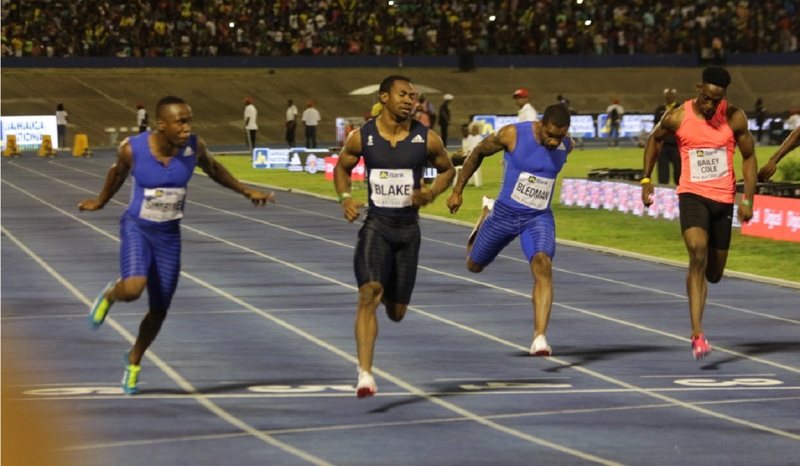 Phillips, in his tribute, said that Bolt is exemplary on and off the track. He said, “certainly, his records and performance will endure through all history. Without doubt he is the king of sprint, today, tomorrow and perhaps for a very long time to come. “For all that his greatest gifts have been the pride, joy and glory that all of us as Jamaicans have felt, every time he has lifted up the Jamaican flag as he has set records across the globe. We will forever be grateful to him. “Off the track, his love for his country, his school, his family, his shining example of integrity, has reflected the best of Jamaica. He is our ambassador, truly the real big man." In his speech, Lord Coe, also praised Bolt on how he has lifted the sport of track and field.